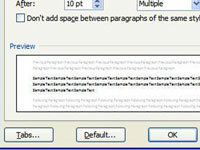 Word 2007 automatically sets tab stops for you in each new document you create. These default tab stops are set at half-inch intervals, but you can also create your own tab stops. 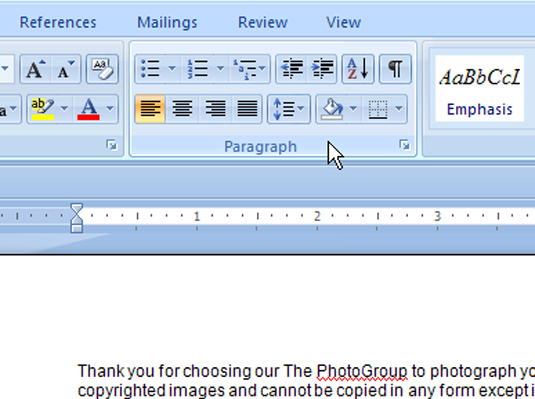 1Click the Dialog Box Launcher button in the lower-right corner of the Paragraph group, on the Home tab. 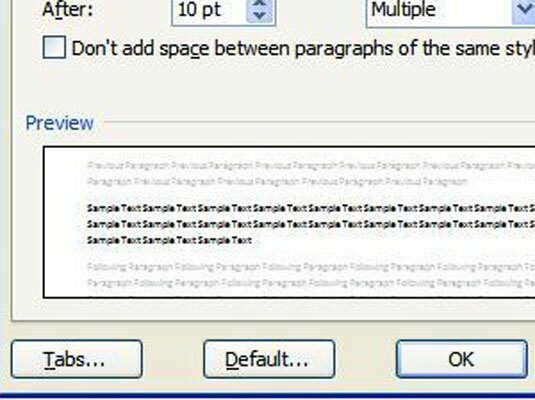 2In the Paragraph dialog box, click the Tabs button. This is located in the lower-left corner of the Paragraph dialog box. The Tabs dialog box appears. 3Create new default tab stops. You type the new default tab stops in the upper-right corner of the Tabs dialog box. 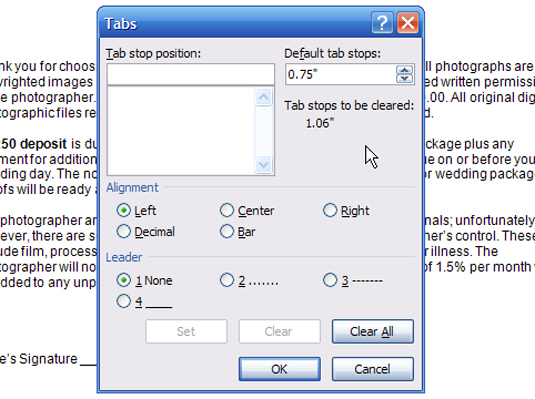 For example, to set the default tab stops three-quarters of an inch apart, type 0.75 in the Default Tab Stops box. Then close the Tabs dialog box. The default tab stops appear as dark brown ticks (they’re very hard to see) on the gray line below the Ruler.